Storyteller's note: The following article was published in the The Correspondent, No. 47, in YE 1042. Correspondents,The following letter was submitted by The Hon'ble Rev. Dr. Thaddeus Potley COGD, Gardener to His Majesty King Rowar II of Pendrell, regarding his service on the gun-sloop RAS Talôn's journey to Thule. As you are no doubt aware, in Tertius YE 1041, Commodore Sir Jonah A. P. Peregrine CA KCOGD was gazetted by the Council to find a passable passage to Øksfjord in Thule, and was considered lost until recently. You are no doubt also now aware that the northern OUT colony is powerful enough to claim the troposphere. I wish to tell you about what we learned about the Enemy on our journey. I did, of course, also make several natural-philosophical discoveries I am sure you also would like to know about, but I'm afraid that must go through my publisher, the Marcks Brothers, of Shepherd's Court, Crondor. Contact also same with requests for my papers and pamphlets. On 17 Quintus YE 1041, we set out from Kriefall in the realm of the Terema, after having taken aboard provisions. Two of the Queen's Rangers had come aboard as well. These knew the waters to the east better than anyone, it was claimed. Apart from Yours Truly, the amalgam now consisted of Commodore Sir Jonah, Adeptus Ritmar Arbalestus bani Septimus, Cpt. Sir Oliver Halcyon, The Second Of Three, as well as the oldest Ranger. Now, you must understand that Thule has not so far been reached by land or by sea. The only time of year the waters are free in that part of the world is around midsummer. Among the difficulties can be mentioned that the sun practically doesn't set between St. Servin's Day and Harbinger in that unreasonable region, and so we had to take all available precautions so as not to jeopardise the mission. We sailed eastwards for three weeks, and not even in the midst of summer did the barren coast see much vegetation -- shrubs and stubborn conifers passed for forest in the most fertile valley. There were also many ice floes providing additional challenge to the seamen. We passed the Saw-backed Mountains (the farthest the Rangers had been until then) and found a way through the deadly grind of small islands and drifting ice of the Maw. It took us almost a month to reach the Hollow Sea, as the first Aragonians in history. By that time, the we had no choice but to prepare for wintering. This was our Capon's decision, and the amalgam and crew built a blockhouse on an island (who's name I cannot reveal in this letter), and hid the ship. From there we could observe the enemy's aerial patrols, and by the end of Octavium we had established a map. No further than 10 leagues to the north of our island, on a low mountain rising from the permanent ice, there was a Reaver-base (six permanent vessels) with a medium Ward Mast. Further north and north-east there were three more of these bases, and about 50 leagues from us we found a major fortress. Thule had been placed on an Aragonian map. The land we found was unlike any we had imagined. The fjord itself is shielded from the ice on it's sides by dark and heavy mountains, and between these a long, wide valley cut north, into the massive, eternal ice that covers this entire continent. Before winter came upon us, we had found the locations for five larger settlements, as well as several farms and factories. The daylight became scarcer by the day, and we realized that we would not see the sun for many months. We were well supplied, and had stocked up on seal-meat (caught aplenty, no more than 200 paces from the blockhouse), and I do not think many among us felt any doubt or fear those days. By mid Novium, the ice floes were cluttering the entire Hollow Sea, and snow was in the air. A month later the entire world had been gripped in a monumentous, breathtaking, dark and utterly cold winter. No sooner had the sea frozen, than Cpt. Sir Oliver Halcyon, Second of Three, Yours Truly, and both Rangers set out on foot to reach the Øksfjord Valley. I will not deny that being on that vast and icy plain stirred a deep despair in my soul, but I drew solace from the words of St. Revan: "Sing prayers unto the Creator and be mighty amongst us. For to this remembrance is given power and our strength waxeth strong in our Comforter." My companions sought similar refuge in their own enlightenment, and so we made it across the frozen sea. Here we followed the wall of ice that rose like the steepest cliffs from the southern shores of Thule. Had it not been for our Connection with the blockhouse, I am sure we would have turned around long before we made it thus far, for we were under constant assault from the hateful nature. The very terrain seemed to listen, and the ice was ever speaking to us of things we could not fathom. Forgive me for my melodrama, but all of us who sailed aboard the RAS Talôn saw more of the world that winter. I will now restrain myself from sentimentalities, and instead delve to the core of the matter. It took us three weeks to reach Øksfjord, and as we had suspected, it lay shielded from the tectonic onslaught of the ice by her mountains, and the fjord itself remains unfrozen except for midwinter (caused, according to the oldest Ranger, by ancient warm oceanic entities following a primordial connection from warmer lands). Further, as I had myself suspected, we also found the coastal hills sown with age-old ruins. Though the landscape lay shrouded in heavy snow, we located a suitable barrow, and excavated the site. The snow quickly covered us, and we were able to camp comfortably under the hill for a month. Second of Three managed to reach these Dead, and through her we could verify the theory of Pax Thule. 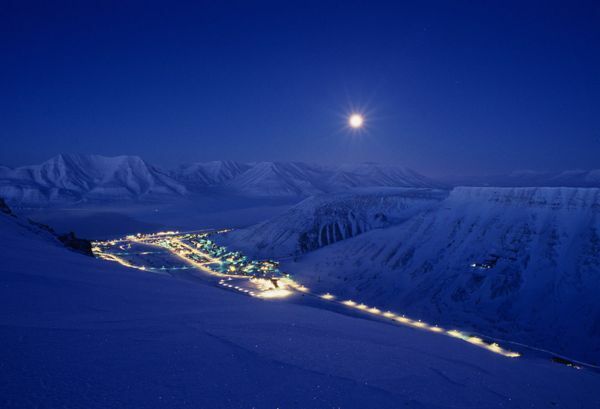 For the sake of thoroughness, I'll sum it up here: In the First Age, the people of Thule were the proudest of all the peoples. The ice-wall was days inland, and they were enlightened, wealthy and prosperous. Their greatest knowledge was the binding of spirits, and in their age there were many, and so forth. More interesting was the verification of my Sundering Theory. The Sundering was indeed caused by a meteor-shower, not one single phenomenon. I pray that now we can finally lay to rest the myth of the Deep as a quantifiable entity. The Legends of the Exalted tell us of the Black Stone, and we know that one hit the moon. There are no doubt many such legends no one could tell us, of proud civilizations, eradicated and forgotten, but the truth stands before us all: There is no such thing as a Supreme Abyssal Being, there are abyssal entities, and there are Things That Must Not Be. This is not the channel for a discussion on the ramifications of that reality, so I will stay my pen. I can now prove that when Optimus Pantocrator created Argos, our world was a perfect round sphere, floating in the multiverse. When the Sundering occurred, that equilibrium was broken. The delicate balance of creation was torn asunder as The Things That Must Not Be rained over the Western Hemisphere of Úr-Argos. In the First Great War this was halted, and a balance was restored, but not before our world had become damaged and warped. Not only were lands shattered and mountains appeared where there had been none, but Primordial Connections were severed or moved. Argos became a hyperspherical world, and as such not entirely quantifiable by linear science. For the people of Thule, the Sundering preceded a time of hopeless doom. Among other things, the meteors caused Argos to lean off it's axis. In Thule, this led to the winters becoming longer and colder, and the ice started advancing. Of the once great civilization, only the ruins of Øksfjord, behind it's mountainous shield remained. Everything else has been ground into oblivion by the ice that now covers all. The Thulists of today are descendants of those who left what they believed to be a dying world, setting out into the multiverse in search of a new home. This is a topic I have already covered at length in my earlier writing, and so I will refrain from a digression along that line. Sir Oliver and the Rangers were also able to learn much of the colony before we turned back to our island, and that report has been sent to those who are so entitled. I will however recap a few of the broader points for your edification. Only the advanced science and technology of the OUT makes them able to live there, but given their history, one should not be surprised that they seem to thrive. Though the colony covers a relatively small area, it is densely populated -- we estimate that somewhere around 30.000 people, all told, now call Øksfjord their home. There seems to be a considerable mining activity, and deep tunnels have been dug into the mountains. From what we could tell, they were digging for a porous black rock; these stones has a distinct oily quality, and will leave a black mark on anything they touch. When we returned to our island, each of us, mage and mundane alike, had to face the darkness and the cold as best we could. It was not the elements in themselves that took the greatest toll (though we lost three men to the cold), but the indifference and the vastness of that frozen land. None of us remained unchanged by our winter in Thule. So in twenty years time, in the Fourth Age, Rowar is still king, and the OUTs are still going strong in their native Thule? Must say I like it.